I love finding ways of getting creative with what most consider to be rubbish; I’m also a big fan of a saturday night in watching XFactor and eating take-a-way pizza, who isn’t?! So, when I came across this blog post from Home-Dzine I just had to re-post it. Great idea! 1. 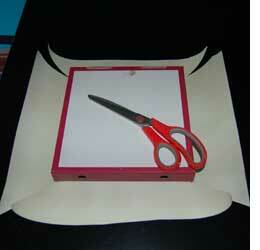 Cut a sheet of paper so that it is bigger than the box and will fold nicely over the sides. 2. 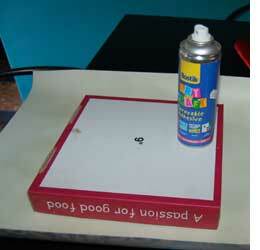 Spray the back of the paper and the front and sides of the box with Bostik spray adhesive and leave for five minutes. 3. 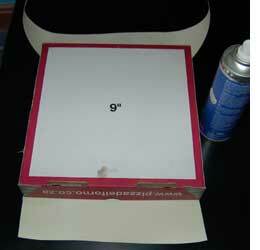 Place the front of the box on the paper, making sure to position in the centre, and press down. 4. Use scissors to cut all four corners diagonally. 5. Fold over two opposite side. Don’t fold all the sides over just yet as you need to create nice, neat corners. 6. Fold the edges/corners of the sides that you have just folded over onto the other sides – as shown left. 7. 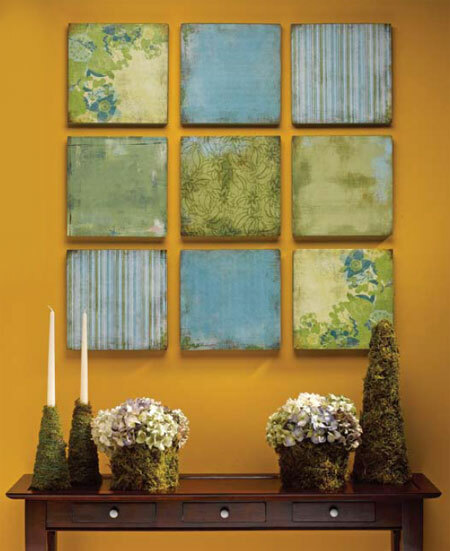 On the other two corners, trim the edges straight and then spray adhesive onto the corners that you have just folded over. Wait for five minutes. 8. Now fold the other sides onto the edges. 9. Use a craft knife to cut away any excess at the back.